Write, read and type with ease on this stylish youth desk. Featuring a keyboard rollout drawer and 2 additional storage drawers, this desk is perfect for long, studious nights and fun, crafty days. Unlike most storage desks, its design is light and airy, infused with a warm, cottage style created by tapered feet and small metal hardware. 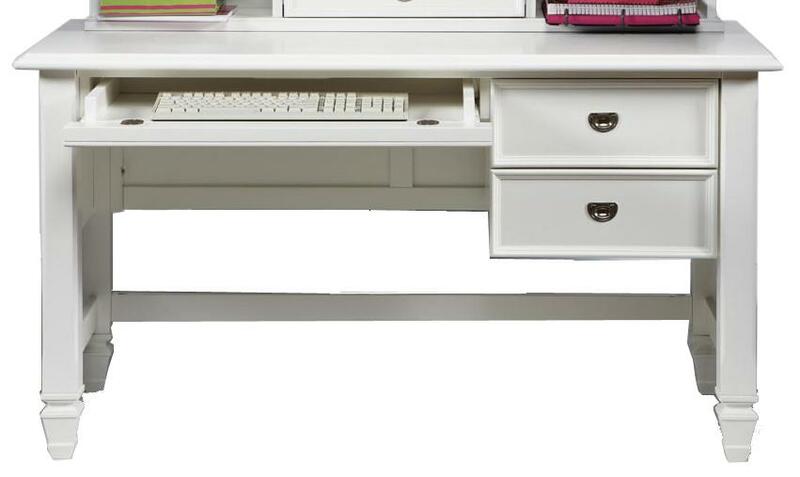 Pair this desk with its coordinating hutch for additional storage and display space. The Belmar Youth Desk with Keyboard Rollout Drawer and 2 Storage Drawers by Holland House at Miskelly Furniture in the Jackson, Pearl, Madison, Ridgeland, Flowood Mississippi area. Product availability may vary. Contact us for the most current availability on this product.